The way wine is stored will determine its flavors and aromas. Poor wine storage leads to wine faults or spoilage. This is why wine cellars are a perfect wine storage solution for wine collectors who have the available space and budget. Wine cellars are designed with essential components that help it perform its role in storing wines in optimal conditions. Boxes and regular cabinets are not the ideal storage areas for your vintages, especially when you intend to preserve them for a couple of months or years. If you have a spare room of any size, you can contact a professional wine cellar builder who will help you from the design to the installation process. In addition to ensuring proper maturation of wines, wine cellars also allow wine lovers to showcase their collection in an impressive way. Aesthetic appeal is a factor to consider not only for commercial wine stores, but also for residential wine cellars. Among the materials used for constructing exquisite wine cellars, wood is the most popular and a favorite of Texas wine cellar builders. Here is why. 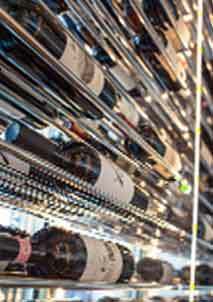 The material of the wine racks that will be installed in your wine cellar is crucial in preserving wine’s quality. Wine storage racks made of wood are known for their strength and durability. Pine, mahogany, and redwood are among the wood species used to hold several numbers of wine bottles. Wooden wine racks are ideal for those who plan to age wine for a long period because wood doesn’t conduct heat. Heat can damage wine’s flavor. Wood also has the ability to absorb vibrations, keeping your wines undisturbed. Wooden wine racks also add warmth and beauty to a wine storage space. Another good thing about these wine racks is that they are stackable, making them a great option for those who have a growing collection. As a top-notch wine cellar designer and builder in Texas, Wine Cellar Specialists offers a variety of wine rack designs. There are kits or ready-made wine racks for the budget-savvy wine collector. 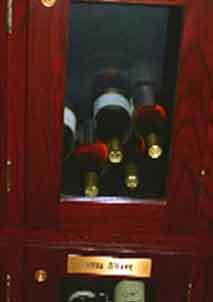 Custom wine racks are also available. Customization options will result in wine racks designed according to your preferred height, width, and style, and finished with a look that matches your existing space. Spaces with odd shapes can also be installed with custom wine racks. 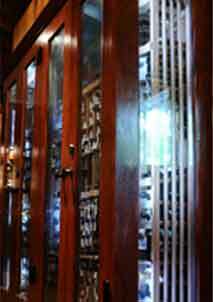 Wine Cellar Specialists will help you choose a wine rack that suits your budget and requirements. 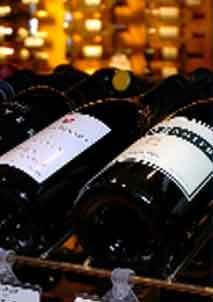 View their quality wine racks at http://www.winecellarspec.com/wine-racks/ or contact them at 866-646-7089.